Join us for our first weekend hike of the year, where we complete our first “highest peak” on our to-do list. Snowdon, the highest peak in Wales is 1085m high. We will be hiking both days (Saturday and Sunday) covering over 30km. Cost: £60 members, £70 non-members. Cost includes: transport, 2 nights accommodation in YHA hostel Bryn Gwynant, breakfast on Saturday & Sunday morning and an evening meal on Saturday night. Transport: car sharing, 2 more drivers sought, fuel costs will be paid. Journey duration: 3.5 hours one way (186 miles). Food: For both days of walking you will need to provide yourself with a packed lunch, some high energy food to keep you going throughout the day and at least 1.5 litres of water. Itinerary: depart on Friday afternoon from Cranfield University, return back on Sunday evening. Detailed program will be available nearer to the date of each trip. Guide: An experienced walk leader and a former walking club member. Equipment: please note NO GEAR, NO GO policy for this trip. This means that walking boots (NO other shoes! ), waterproofs (including waterproof trousers), warm clothes and a NON-COTTON base layer are a must for this trip. NO jeans please! Sign up by THIS Thursday 10th October at social night. This entry was posted in Blog, News, Past events, Walks, Weekend hike and tagged Hiking, Snowdon, Snowdonia, Snowdonia National Park, Wales. Special weekend trip organised by Cranfield University walks. Get to know UK more – its amazing scenery, dramatic landscape and beautiful countryside. 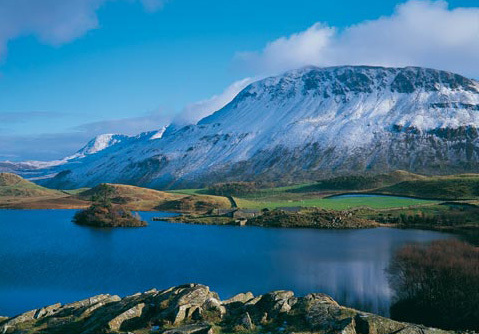 10th-11nd November, 2012 – walking in Snowdonia National Park- an area of outstanding natural beauty. Cost: £47 members, £57 non-members. Cost includes: 2 nights accommodation in YHA hostel Pen-Y-Pass, breakfast on Saturday & Sunday morning and an evening meal on Saturday night. Update on 10 October 2012: all places are now booked – sorry! Transport: car sharing, 2 drivers sought. Journey duration: 3.5 hours one way (186 miles). Cost of petrol: to be shared amongst occupants of each car, can be calculated using an online calculator. Food: For both days of walking you will need to provide yourself with a packed lunch, some high energy food to keep you going throughout the day and at least 1.5 litres of water. Itinerary: depart on Friday afternoon from Cranfield University, return back on Sunday evening. Detailed program will be available nearer to the date of each trip. Guide: An experienced walk leader/member of staff and a former walking club member. Walk level: Challenging – Saturday walk about 14 miles. Shorter walk on Sunday morning. Exact program to be confirmed. Read about our earlier weekend trips with Cranfield University’s students to Lake District and Brecon Beacons National Parks. * Please note that the cost of this trip has been paid for in advance by CSA, to secure our places. Therefore bookings are refundable only in exceptional circumstances. Before a refund will be agreed, you will be asked to find a replacement. This entry was posted in Blog, News, Past events, Walks, Weekend hike and tagged challenging walk, Cranfield students, mountains, Snowdonia National Park, Wales, weekend walking trip, YHA, youth hostel.